So excited to have such a great new sister-in-law! So excited to share more of our wedding decor! -There are so many variations on the color turquoise. 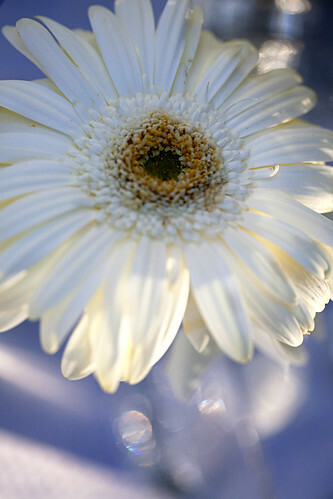 -Flowers don’t come in turquoise or silver, unless spray paint is involved. 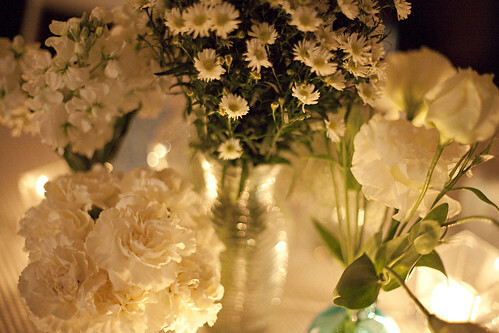 -I have no idea how to actually arrange flowers, even though our mom arranged them at a bazillion weddings. 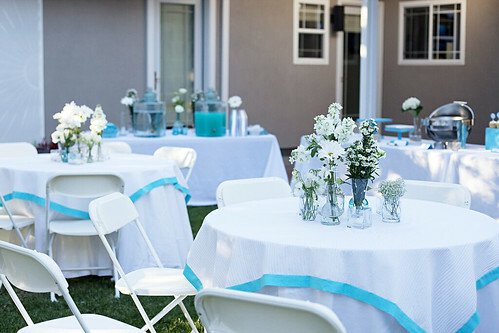 I found this white fabric with a cool waffley texture and added a two inch turqoise border just enough to set it off from the other tablecloth. And flowers don’t come in turquoise but glass vases do. 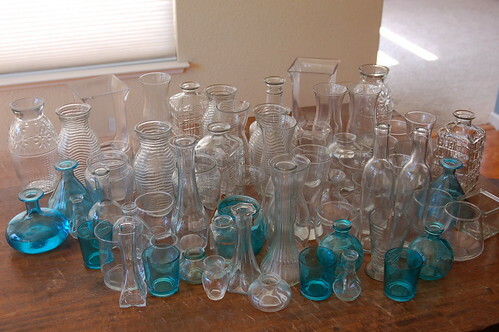 So, we gathered a lot, like 70, vases, clear and turqoise. 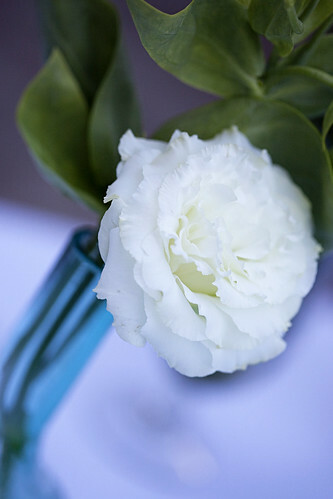 And put one kind of white flower in each vase for our vase cluster centerpieces. The flowers were so beautiful on their own (and I didn’t have to arrange flowers, just vases). 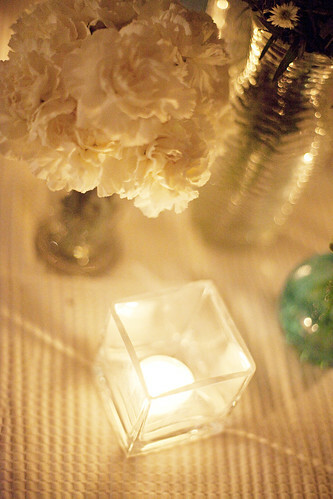 At night, the centerpieces took on a new look with the candlelight from the votives. 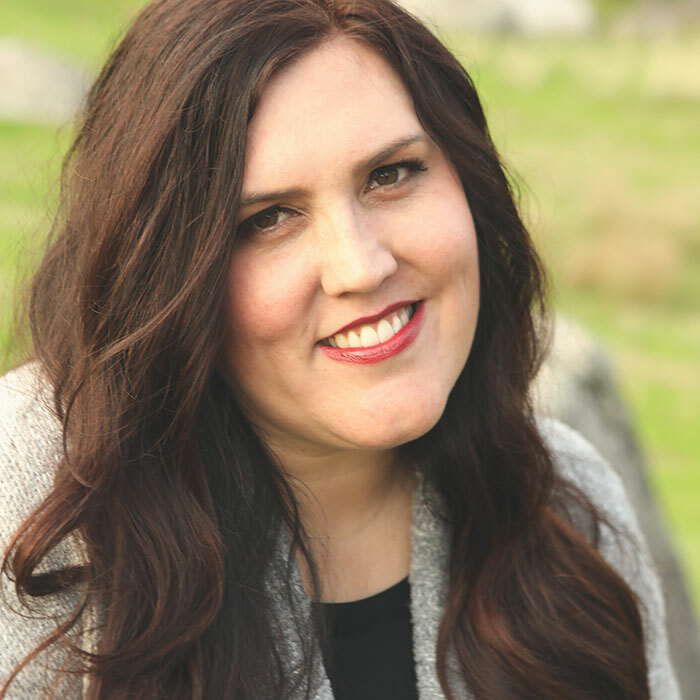 Stay tuned for more Project Wedding…. AB-SOOOO-LUT-LY Beautiful!!!!!! That's all I can say. I wish I had this idea back when I was planning my wedding!! 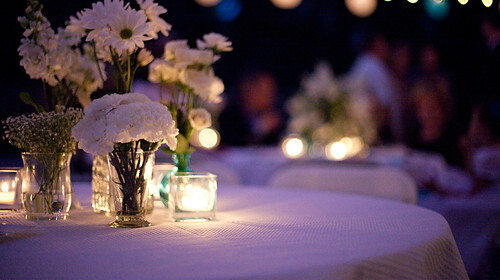 The flower arrangements are just perfect. 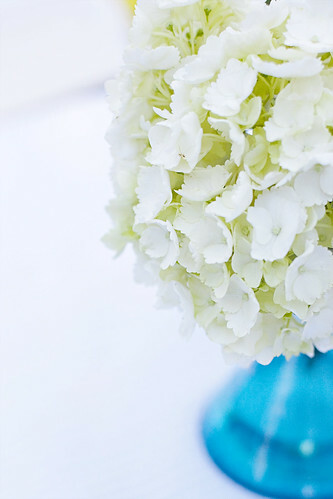 Simply stunning – looks like something out of a bridal magazine! Gorgeous, just gorgeous! 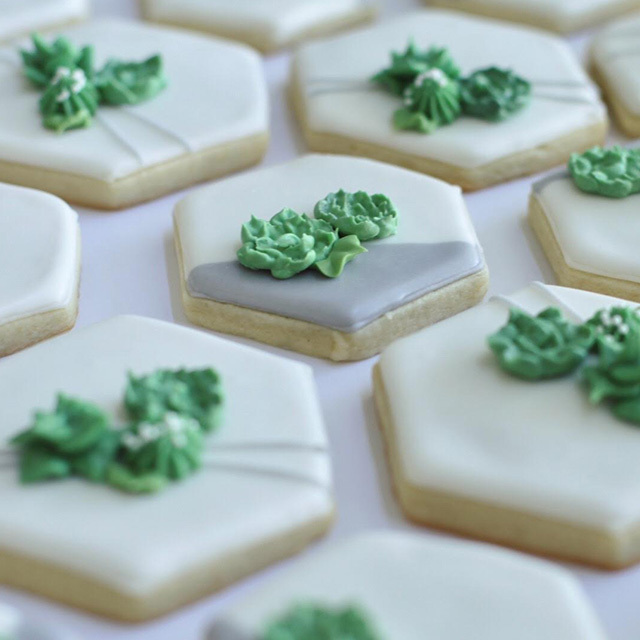 I could do this on a smaller scale for a holiday dinner or just for a special look. Love it! This is exactly the inspiration I was needing to better verbalize what I want for my wedding. Thanks so much for sharing!